Dazed Digital: Where did the inspiration for Foyer Fauna come from? Luke Stephenson: A few years ago I started to notice these plants in receptions and shops and once you start to notice them you see them every where. I found them quite curious that these sad looking plants were placed into these locations in a strange attempt to breathe life into these dull spaces, as if they were their own unique type of fauna, so I wanted to document these plants. DD: Do you have lots of plants in your flat? Do they live for long? Luke Stephenson: I never had before I did this project but I do now. I bought quite a lot of these types of plants to photograph so when i finished it I gave a lot away to friends and keep a few for myself since one has died and the other two are still going although I do forget to water them sometimes and only remember as they start to look sad. DD: What's your favourite plant and why? Luke Stephenson: I don't really know much about plants and don't really have a favourite, I like their names though - Weeping Fig is a good one, it looked so sad. DD: How did the Other Shop collaboration come about? Luke Stephenson: Quite out of the blue, Matthew Murphy, Creative Director from Other, got in touch as he'd seen my bird pictures. 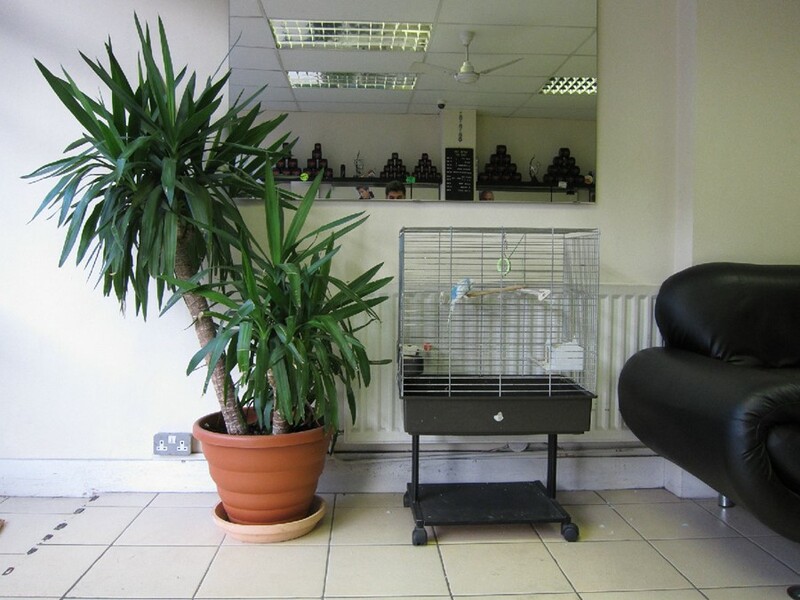 I met him and we chatted about doing something, while meeting him I noticed that in the shop and in their offices were lots of these types of plants I'd been thinking of doing the Foyer Fauna project for a while so it made sense to do it with them. DD: What's your next buy from the Other Shop, which ones of their brands do you like? Luke Stephenson: I quite like the Other Charles Shirt but it will most likely be some socks. I like Our Legacy, they make nice shirts. DD: Any other projects coming up? Luke Stephenson: I always have a few things on the go, I just went to a giant Vegetable competition which was interesting so I might do something on that.